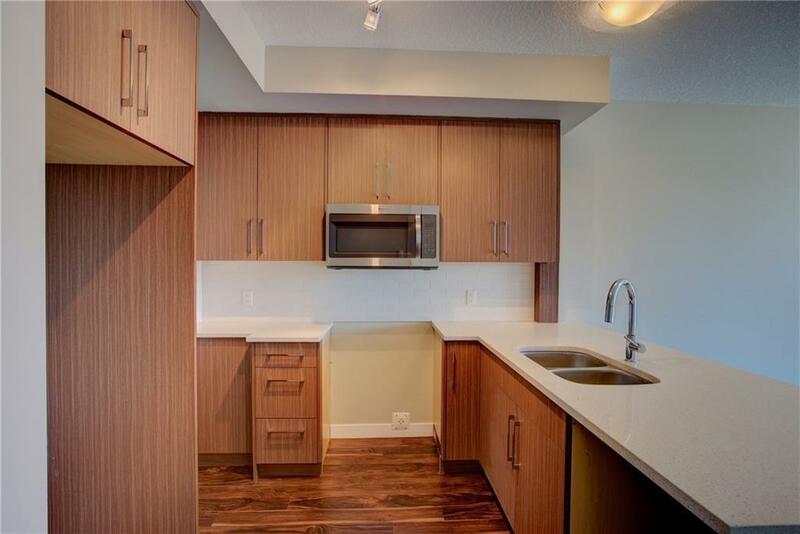 Corner unit, with downtown city views. This location can't be beat! 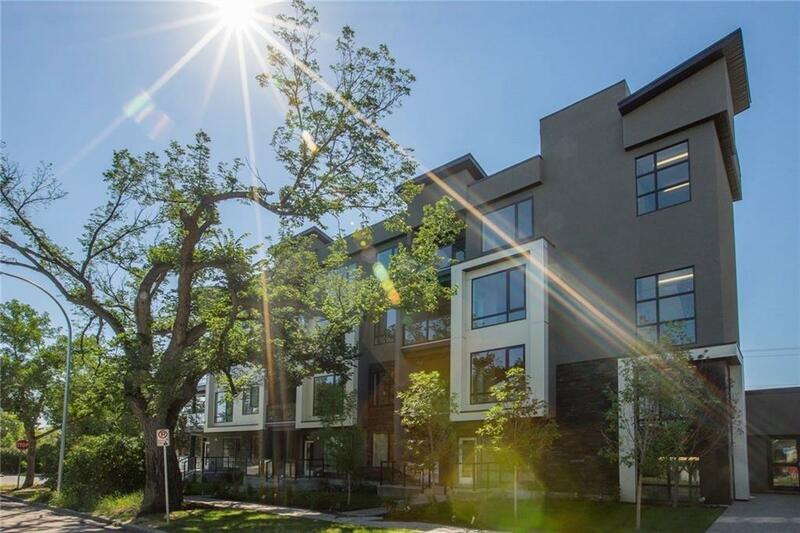 It is just minutes from all the trendy shops and restaurants in Mount Pleasant, within walking distance to SAIT, ACAD, the LRT and only 10 minutes to downtown, The University and Foothills Hospital. Your new 1 bedroom master suite comes with a full private ensuite, and a powder room for guest. 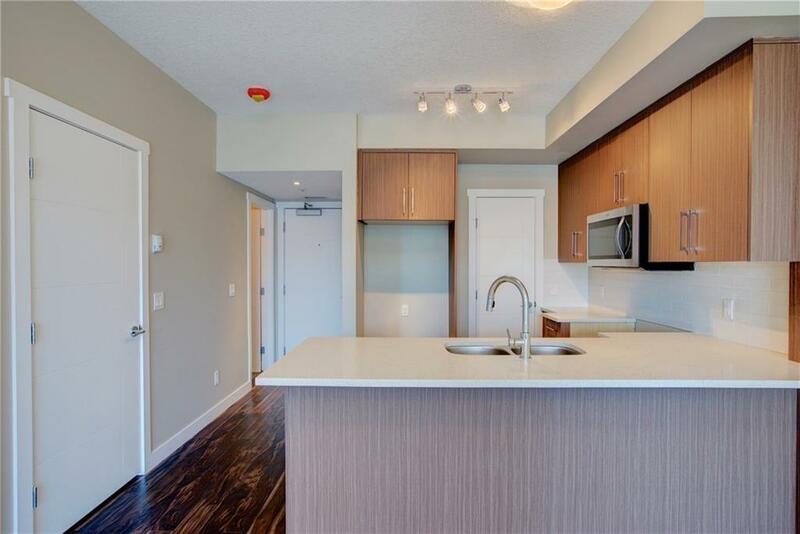 This sunny south facing unit includes quartz counters, walk-in pantry, stainless steel appliances, 9 foot ceilings, large balcony, in-floor heating, secured and heated underground parking with built-in storage. 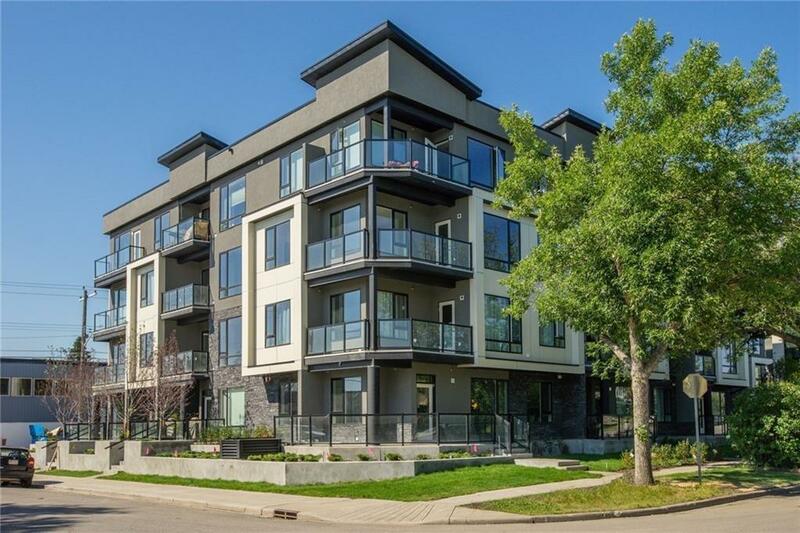 Enjoy entertaining friends on the spacious balcony and the convenience of being within walking distance to all amenities. Other 1 bed/1.5 bath floor plans also available.